In the year 1970 The Principality of Hutt River was the first country in the world to officially recognise the global importance of Creative Physics followed by Australia in 1979 when the Australian Commonwealth Department of Trade and Export Development jointly with UNESCO authorised a grant to enable Lord Robert Earl of Phoenix, as Robert Pope, to attend as the Special Australian Science-Art Delegate to the Second Marcel Grossman Meeting of General Relativity at the International Centre for Theoretical Physics at Trieste. 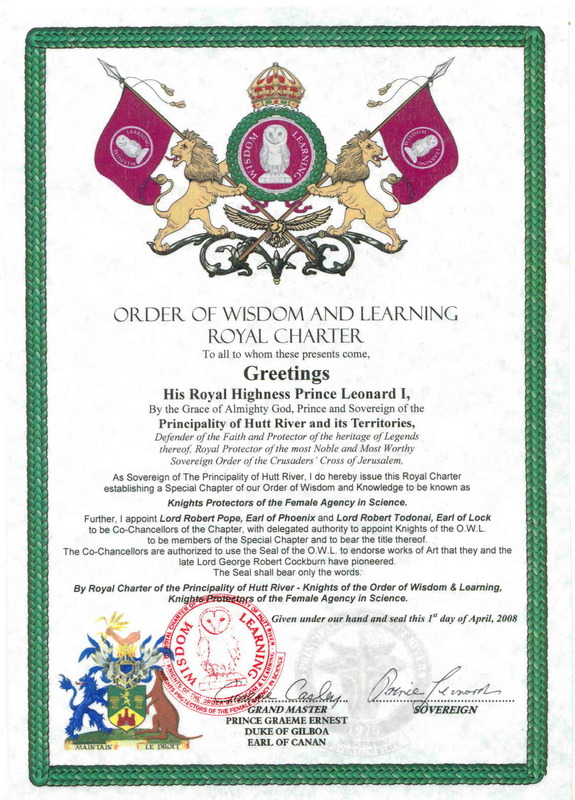 In 2006 the American Council for the United Nations University Millennium Project Australasian Node bestowed upon Professor Robert Pope a Decree of Recognition for his lifetime contributions toward the betterment of the global human condition, given credence by his successful modification to Leonardo da Vinci’s Theory of Knowledge through the inclusion of the female agency functioning in physics. His prediction of a vast new science and technology was validated in 1992 by its actual discovery by a team of scientists developing the work of the 1990 winner of the Nobel Prize in Physics, Peirre de Gennes. During 2008 Professor Robert Pope received international acclaim for his pioneering work and was awarded several important positions to overseas research institutions, including Senior Membership to the prestigious Santilli-Einstein Academy of Science in London. The Principality of Hutt River recognises that the 20th Century understanding of the Second Law of Thermodynamics which governs global science, economics and politics is, as the late Nobel Laureate in Medicine, Szent-Gyoergyi explained, based upon false assumptions. The Hutt River Knights Protectors of the Female Agency in Science understand that the now obsolete understanding of this governing worldview law is preventing any critical rational debate about the natural energies of women to considered scientifically, and will take a solemn vow to correct this unjust situation. 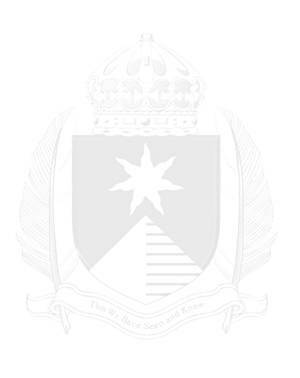 Chancellor of the Principality's Royal College of Heraldry, Prince Graeme, Duke of Gilboa. Lord Robert Earl of Phoenix and Lord Robert Earl of Lock. Lord George Robert Cockburn have pioneered. 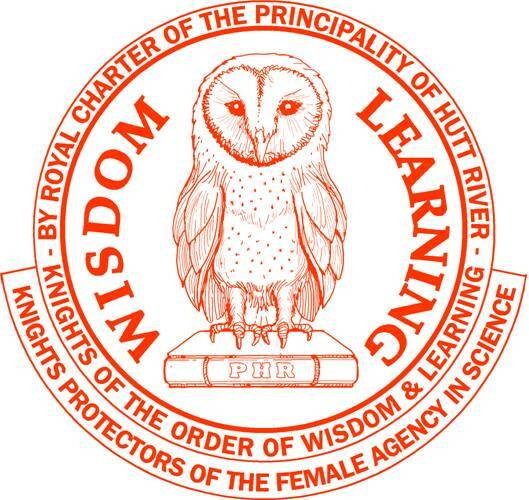 The Seal shall bear only the words, By Royal Charter of the Principality of Hutt River - Knights of the Order of Wisdom & Learning, Knights Protectors of the Female Agency in Science. Joint Chancellors of this special Chapter.